In the first of what will be a weekly feature, we’re proposing to using an article to kick off what, we hope, will be a healthy debate. Over the weeks, we’re looking at covering a number of topics, all associated with West Ham United Football Club. To kick-start the series we’ve come up with something simple but very debatable. It relates to the move the club made from the Boleyn Ground to the London Stadium. All we want to know is,, now the club has settled in, whether you believe like the board constantly told us, it was a move the club had to make? Or was it a decision that we’ll, over the coming years, live to regret? Personally, I mourn for the days of old, days when teams feared visiting the Boleyn Ground, with a vociferous home support generating that good old-fashioned atmosphere. But am I alone in my view or is it a view that the majority share? Please feel free to drop your opinions into the comments facility beneath this article, however controversial they may be. The OS doesn’t feel like home and never will do and we can never be proud of what is basically ‘rented accomodation’. The whole matchday experience is limp, antiseptic with no atmosphere. It has divided fans and drawn ridicule from our peers. Worst of all the board lied about not being able to expand The Boleyn ground and never even commissioned a feasibility study to look into it. We had a ground with x3 new stands, these were funded from player sales. For example ‘Rio was sold for around 18 mill and harry got 5 mill to spend on players’, we also sold Cole, Lampard, Defoe etc. This had a negative effect on our potential for success on the pitch. The ground did need improvement and the all seating rules made this imperative. The East Stand could not be expanded due to the access road being used for the bus depot, behind the North Bank. We offered to pay for a new bus depot (on another site) at one point (so the east stand could be expanded) but they refused the offer. Ironically they decided to shut the depot down, around the same time our owners decided to move to Stratford. We could of then had a nearly brand new stadium with a capacity of around 43k on our old site….that we would of owned !! Nobody moves from a property they own into a rental property, if they have any other viable option. If we had ever needed funds we had the option of taking out loans against our assets (the Boleyn and Chadwell Heath). We now have a rented stadium and a far less desirable training ground area (for developers) to use as an asset. The old ground site appears to also have been sold for less than the x3 new sides of the stadium cost to build in the first place……seems to make no sense to me. The only way the atmosphere will be improved at the new stadium is if A) We buy it…. OR…. B) They agree to get rid of the running track. I very much doubt they will agree to option ‘B’ and so the owners need to purchase the stadium…..and i doubt they will do that. If we dug the pitch area down about 20 FT , we could then take the seating down to pitch side and improve the capacity in the process. 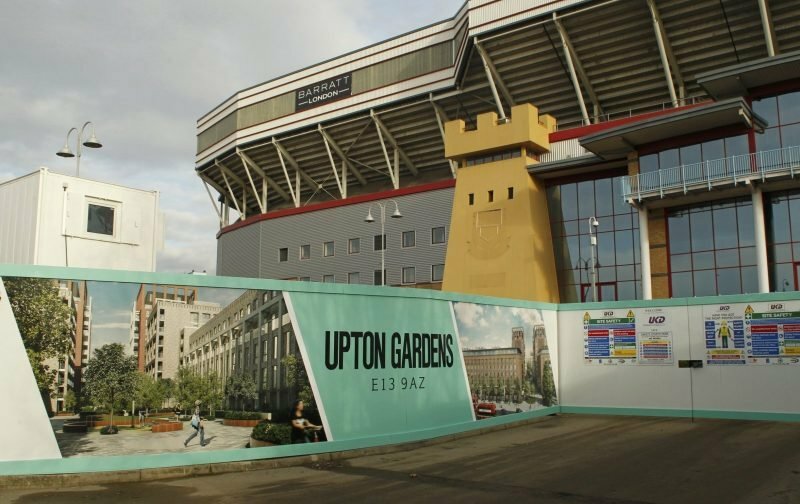 With regard to the Boleyn…..the atmosphere was never the same once it went all seater to be honest. Yes it was still good on night matches or against local rivals, but it was diminished a lot imho for other games. We also now have a lot of ‘new’ fans attending matches at the new ground and that may of had an effect. Also some people have decided not to go anymore, due to not liking the new stadium or owners. Supporters who stood together previously are now scattered around the ground and the lad’s who grouped together to sing are now all over the place. With people who for example, previously went behind the goals for a sing song, now mixed in with the punters who like to sit and watch or families.